On February 14, 2018, a teenage boy named Nicholas Cruz opened fire at Stoneman Douglas High school, claiming the lives of fourteen students and three staff members. This marked the eighth school shooting of 2018. The year ended with a total of 65 school shootings, an average of 1.25 per week, and a total of 41 fatalities, making 2018 the worst year for school shootings in recorded history. News of yet another school shooting has seemed to become the norm. In a period of immense public discord, it appears that the quickest resolution, for some, is extreme violence. Many of the solutions to gun violence in schools appear simple; stricter gun laws, easier access to counseling and psychiatric help, heightened security measures, however, controversy abounds within state and federal governments. We’ve come to see that the question here is not how to eliminate these tragedies, but more so lessen them; lessen the fear instilled in students, faculty, and staff nationwide and increasingly advocate for the proper restrictions needed to one day lessen this terror. Both high schools and colleges have their halls flooded with students battling depression, low self-esteem, and suicide, to name a few. Many of these battles are fought internally, and are difficult to identify, allowing school shootings to become progressively more prevalent. It is crucial that schools nationwide provide a safe haven where students can go to talk to someone when needed. Changes such as creating more peer to peer support groups and making more school social workers and psychologists easily accessible to students will aid in lessening these devastating events. No student should enter school feeling that they aren’t in a safe, welcoming environment, and no parent should fear that their child will never return home. The Trump administration has yet to effectively address this issue, fueling the ongoing gun control debate throughout our society. The second amendment of our constitution grants us the right to bear arms, in order for us to truly uphold constitutional amendments within current society, we must look at The Constitution as a living document. “This is a very simple argument.”, said Doug Alnwick, “The constitution is Over 200 years old and grants us the right to bear arms. But this is a different time, the rights should change with time, this is a living document.” We are in a time now where enforcing stricter gun regulations such as mental health evaluations, bans on high powered weapons not used for hunting, and bans on high capacity magazines are essential. This, in conjunction with more vigilant mental care and guidance of our youth, is the foundation that will ultimately minimize The Santa Fe’s, The Sandy Hooks, The Columbines and The Parklands from happening over and over again. The consensus is mixed as to how Pierson students feel about their safety coming to school every day. 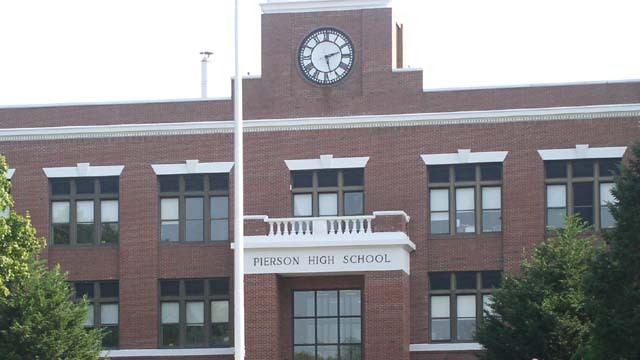 The majority of students I interviewed said they felt safe due to the small Pierson community. However, does size really matter? The size of a community has no bearing on the internal silent suffering of any one student. Until more accessibility to counseling and support and stricter gun laws are implemented and enforced, we are no closer to lessen the likelihood of our school being next.